Given the huge changes that women and mothers in Ireland have gone through in recent decades — cultural, economic and social — understanding a mother’s sense of value in her role as a caregiver is essential. 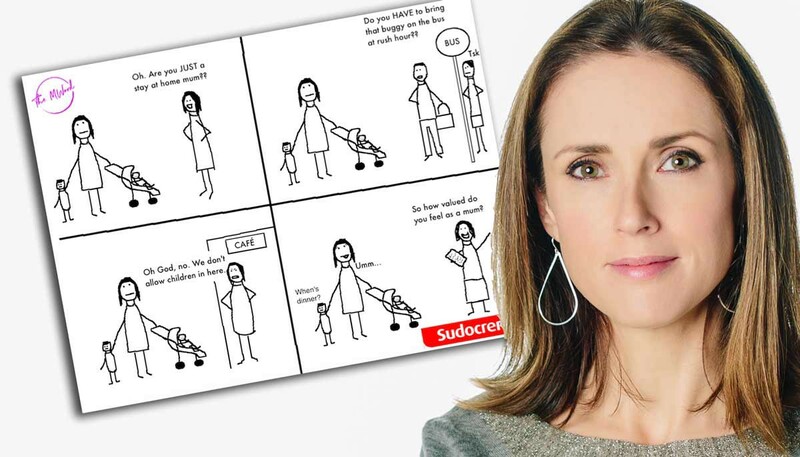 Depressingly, the research conducted by Sudocrem found that just over two-thirds of mothers do not feel that they are strongly appreciated by their family, something it’s not always easy to be honest about. Mums’ beliefs that they are not valued by their closest relatives for their work cannot be viewed in isolation from their views on how society values their role. ♣ Half of all mothers (50%) felt that society largely does not appreciate the role of mothers. These statistics undoubtedly point to mothers’ overall sense that their role is not appreciated, or that their contribution is not widely understood, by family and society at large. However, what adds weight and supports the views of mothers today is the views of mothers of the past. ♣ With 13% of grandmothers stating their families did not value their work — 10% less than mothers of today. ♣ When mothers of today were asked about their views on how society valued their role as a mother, a clear and strong divergence emerges between working mothers and stay-at-home mothers. 55% of working mothers felt valued by society versus 40% of stay-at-home mothers. The results suggest that families and society have a declining sense of value for the role of mothers. The contrasting results between mothers of today and mothers of the past are compelling and pose huge socio-cultural questions: Why do mothers feel less valued? If they are less valued, why is this happening? The results show that a significantly higher number of working mothers feel valued by society than stay-at-home mothers. This reflects the ongoing discourse of the failure of society to adequately recognise the work undertaken by mothers in the home. Today’s mothers’ confidence in their role Mothers today have access to a wealth of information and resources on how to raise their families, much more so than in the past. However, whilst one might expect that the reassurance of this advice has given today’s mothers more confidence in their child-rearing abilities, Sudocrem’s research indicates the opposite is the case. ♣ 17% of today’s mothers rarely or never worry about how well they are raising their children. ♣ 34% compare rarely or never compare themselves. ♣ 30% of today’s mothers compared themselves negatively to other mothers, compared with only 9% of grandmothers. Mums…. We really need to give ourselves a break! Originally published at themword.ie on November 14, 2017.